Miriam was one of a group of Jewish, Arab, Bedouin and Druze students taking part in a first-of-its-kind pilot, initiated by three partners – Israel Sci-Tech Schools, the Shimon Peres Center for Peace and Google – to promote co-existence. The pilot represented a merging of Israel Sci-Tech Schools’ dual focus: preparing young adults with good values and tech education for the new world of work. Students connect online Google ‘Hangouts’ for an exciting six months and then met in person. With 205 schools and colleges, and accustomed to large-scale initiatives, the Israel Sci-Tech Schools Network draws students from all communities. Professional peace education instructors led the groups, which worked at online and offline projects, and then met face to face to present their projects. Their online project was to produce a video together. Students filmed everyday scenes from their lives. Six months in, the students were ready to leave their safe cyberspace hangouts and meet in the real world. “I’m glad I made new friends and I can’t wait to meet them,” said Bara Abu Assa. 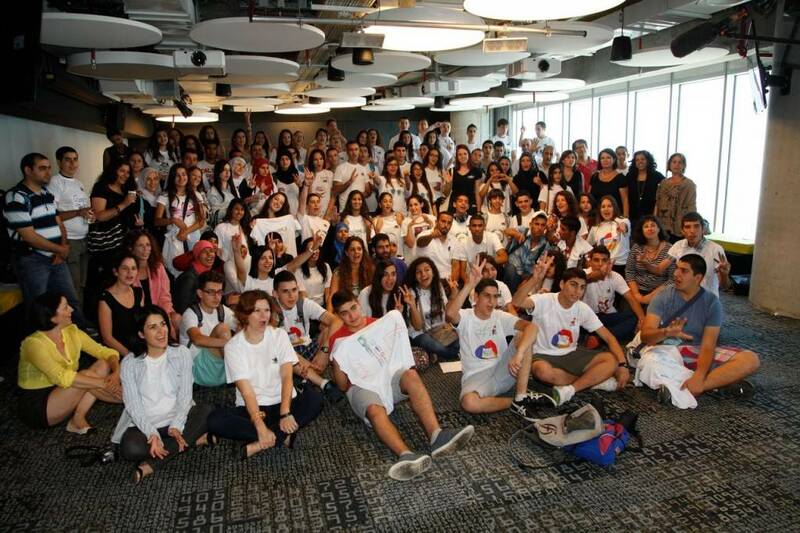 The entire group met twice, at Google and at the Peres Peace Center, in celebration of President Peres’ 90th birthday. 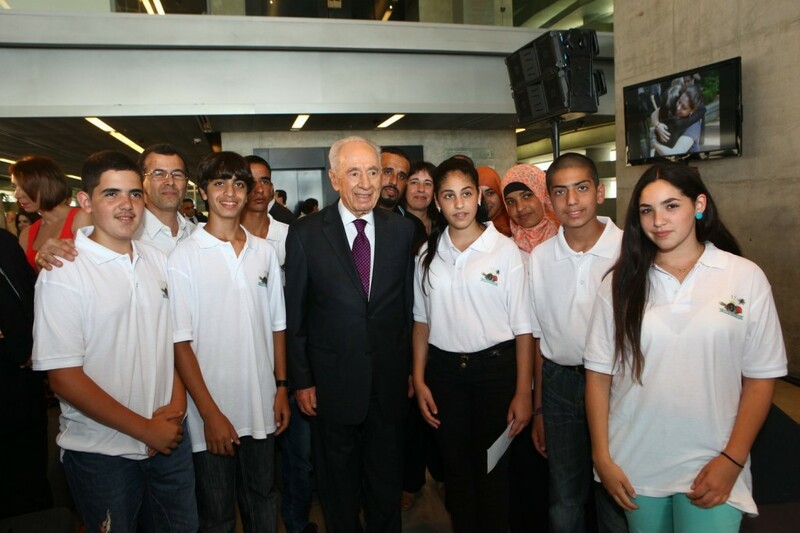 They met President Peres himself. Students’ enthusiasm spoke volumes of the success of this project. “It’s very exciting to meet people who seem different from us but are actually very similar to us, and become great friends,” said Yonatan Yosefzon of Yoqneam Sci-Tech School.